Take advantage of these cold, snowy days and plan your therapy sessions for the next several weeks! Check out my Therapy Guides for great seasonal ideas to encompass a wide variety of children on your early intervention and preschool caseloads. In this 60 minute video, speech-language pathologists and other early intervention professionals will learn strategies to make group activities successful for toddlers and young preschoolers. 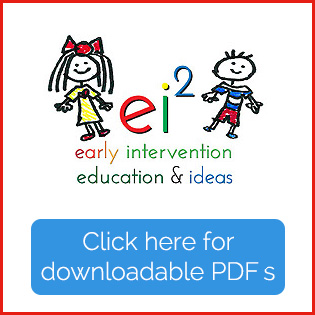 You’ll see 10 different developmentally appropriate activities designed for small groups of young children with many suggestions for targeting both receptive and expressive language skills for toddlers or for preschoolers who are functioning in lower developmental age ranges. Each activity will also facilitate progress with cognitive tasks, social interaction skills, and fine motor development. The written guide includes a materials list, directions for completing each activity, and lists goals that can easily be incorporated for groups of toddlers. Suggestions are provided for working with toddlers at various developmental levels within each activity. ***ASHA CEU credit and/or a CEU certificate of completion is available upon completion of additional course requirements and a $10 CEU fee. 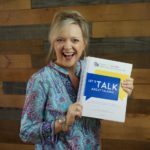 In this 60 minute video speech-language pathologists and other early intervention professionals will learn how to develop and implement visual structured teaching tasks with toddlers and preschoolers with developmental delays. This is the initial starting point for therapy for many young children who don’t demonstrate an adequate attention span for play or therapy activities. Participants will learn 11 different activities and how to modify each task to accommodate a child’s interests and developmental strengths and weaknesses, as well as target a variety of cognitive, fine motor, and language goals. Strategies are provided to facilitate parent/caregiver education so that each activity can be included in a child’s home program. 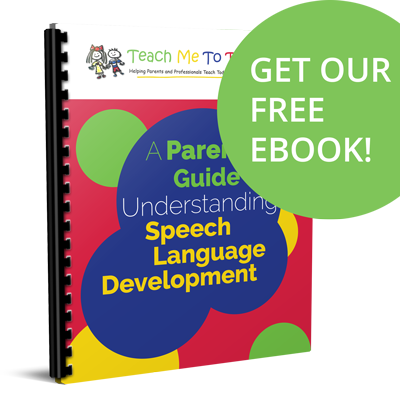 The written guide includes a materials list, directions for each activity, and multiple goals that easily be modified for toddlers with even significant developmental delays. The downloadable video and written therapy guide is $19.99 and can be purchased at this link. ***ASHA CEU credit or a CEU certificate of completion will be available upon completion of additional course requirements and a $10 CEU fee. If you have questions, please feel free to email me at Laura@teachmetotalk.com.